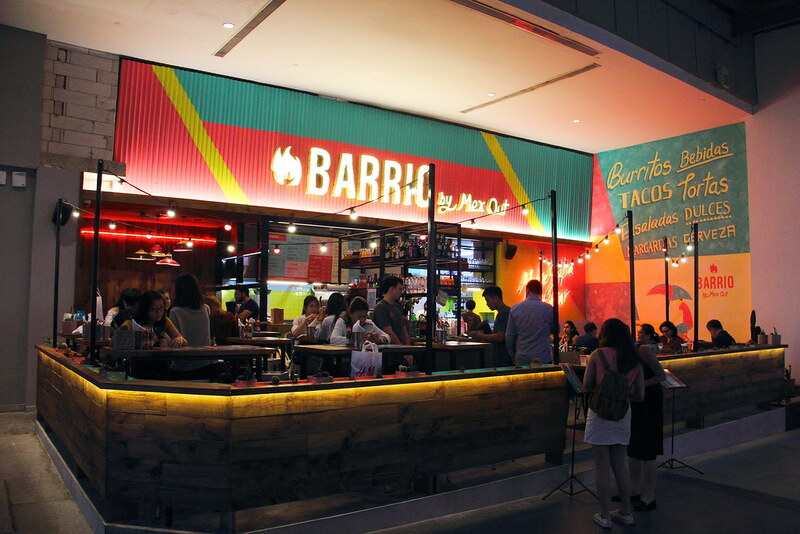 Opening at the heart of Orchard Road is the latest concept by Mex Out called Barrio by Mex Out. The new restaurant looks like a modern Mexican beer garden at the street level of 313 Somerset. The restaurant features an expanded menu of fan favourites at Mex Out and new plated Fresh-Mex cuisine. We started off with some Margarita ($12) to get the mood swinging while we waited for our food to be served. 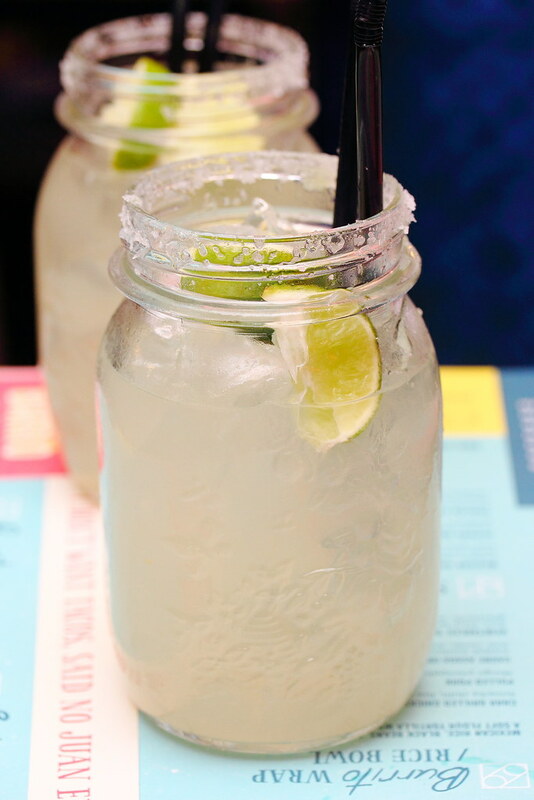 The drink list at Barrio by Mex Out includes also sangrias, homemade soft drinks called aguas frescas and a selection of wines. A great starter for sharing is the Burnt Nachos ($13.60). The corn tortillas is freshly fried everyday. 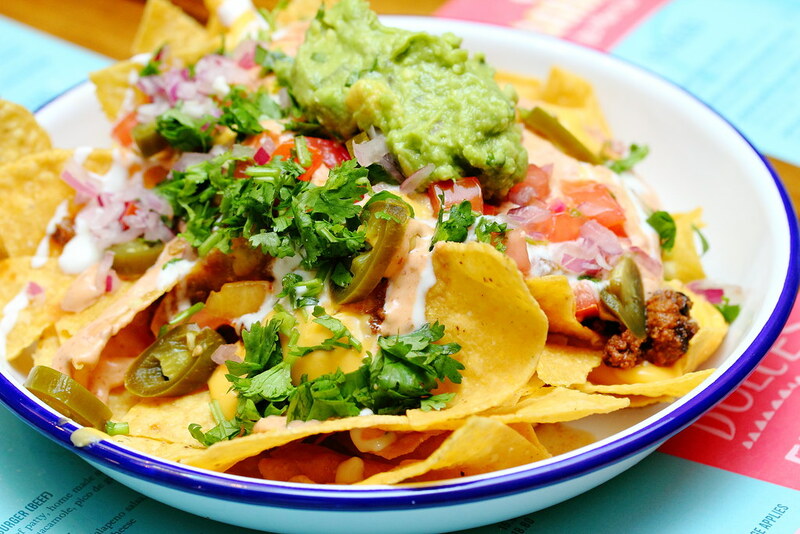 It is then topped with a generous amount of chilli con carne, cotija cheese, moazzarella and cheddar cheese sauce, pico de gallo, coriander, sour cream and freshly made guacamole. 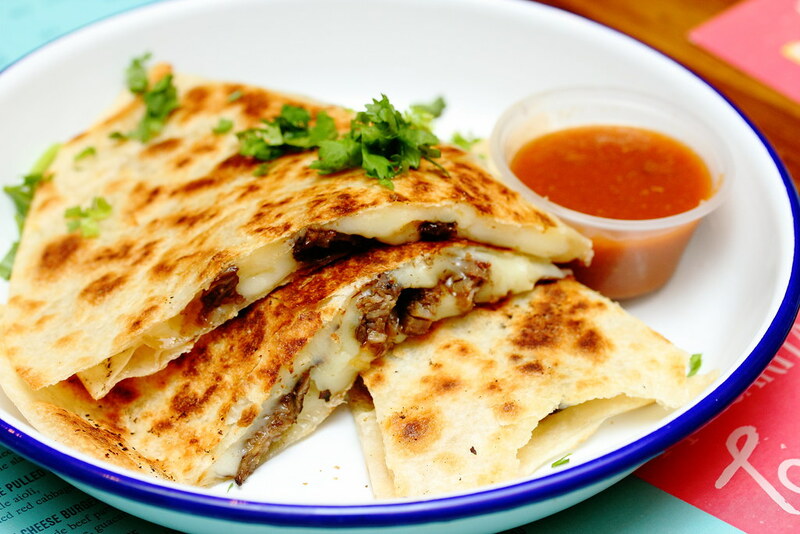 Encased in a crispy tortilla and sliced for easy consumption is the Barbacoa Quesidillas ($13.40). The chargrilled flank steak which is diced into pieces works beautifully with the pico de gallo, chilli jam, cheddar and jalapenos for a delightful combination of flavours and textures. One of the best Chicken Wings ($8.50 for 6pc) I have eaten for a while. Besides the crispy exterior, the highlight is the spicy and tangy homemade sauce which the chicken wings are tossed in. Corn itself already carries a sweet flavour. 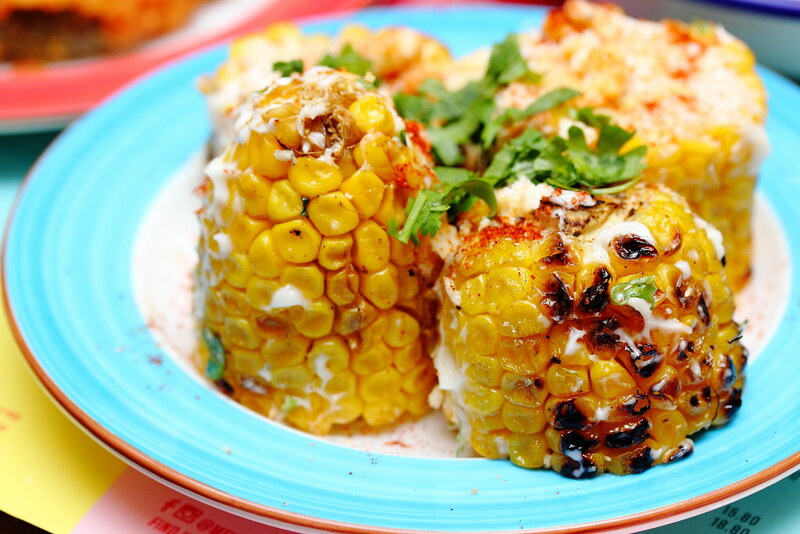 Imagine the Mexican Street Corn ($7.90 for 3pc) is further chargrilled with butter, mayo, paprika and cotija cheese, topped with coriander and oregano. It totally enhanced the whole enjoyment. The other item from the snack menu that I personally enjoy a lot is the Jalapeno with Cheese. 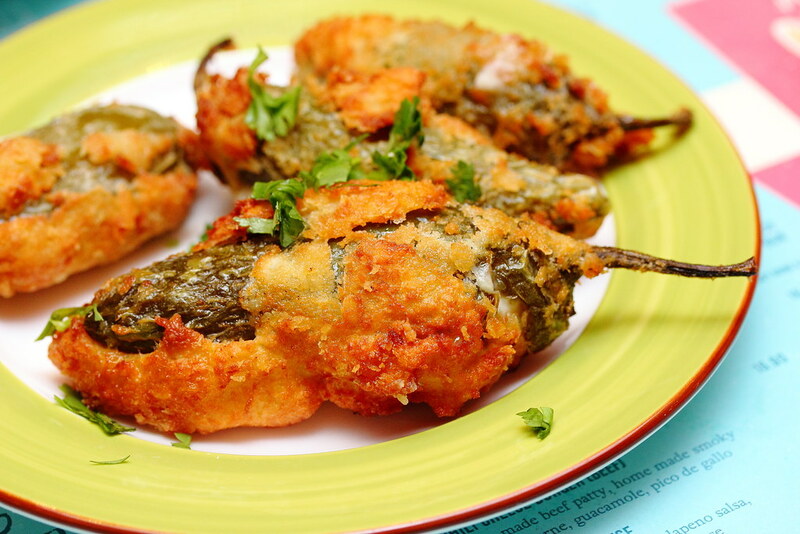 Lightly battered for a crispy exterior, the Jalapeno is stuffed with cheese for a harmonious combination of spicy and cheesy finishing. What is Mexican cuisine without the traditional and staple tacos. 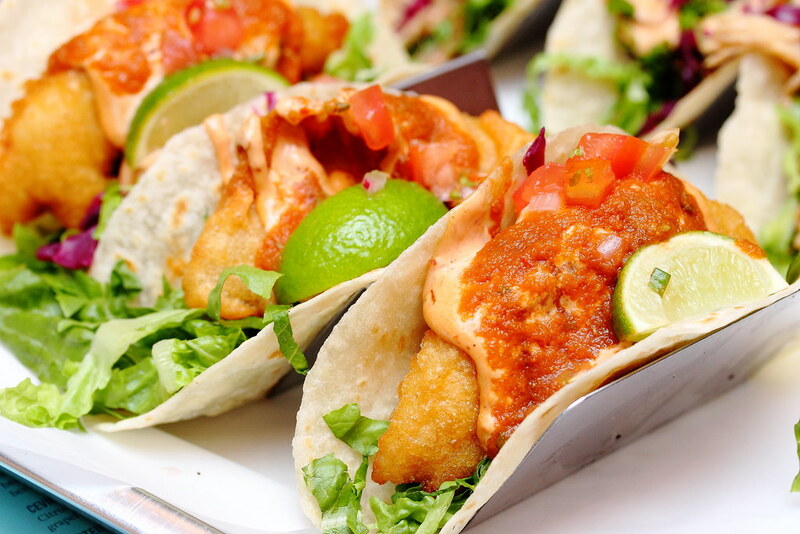 At Barrio, guests can a choice of Pulled Pork Taco ($12.90 for 2pc), Chicken Taco ($14.40 for 2pc), Fish Taco ($13.90 for 2pc) and Carne Asada or Steak Taco ($13.90 for 2pc). 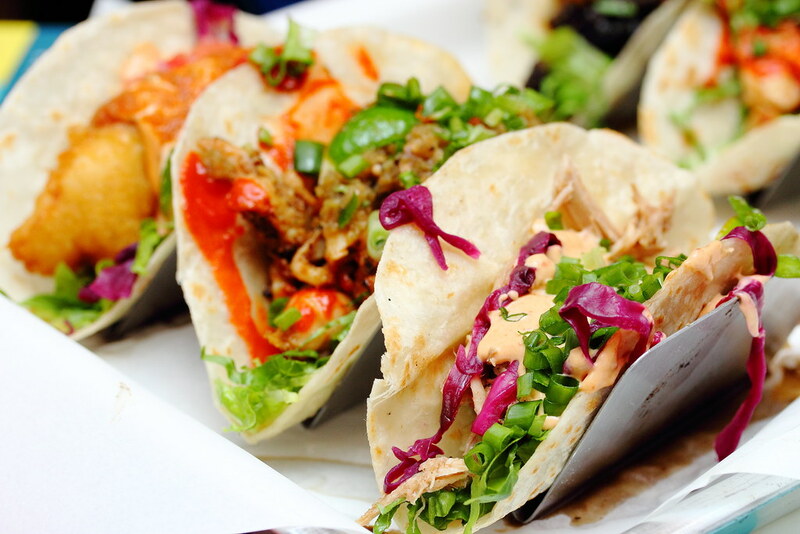 Each of them has their own characteristic with their own filling folded in a tortilla shell. Out of the four tacos I tried, my favourite is the Fish Taco. The beer battered sea bass is topped with pickled red cabbage, pico de gallo and chipotle aioli. The golden brown crispy batter with moist flaky white meat, coming together with the rest of the ingredients like musical scores in a musical composition, a symphony performance you should not miss. When this is served to the table, the first impression of the Protein Salad ($15.90) is it looks like the Korean bingsu, topped with a guacamole ice cream. When salad looks so pretty in sight, it already whets up the appetite. Vegan lovers will be rejoiced with the Vegetables "De le Cruz" Bowl ($13.30). 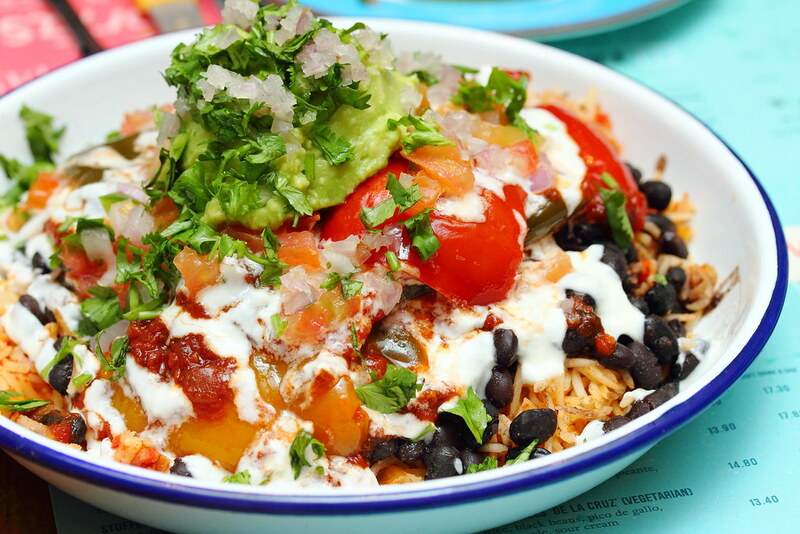 The messy plate of fluffy basmatic rice is topped with capsicum, black beans, pico de gallo, guacamole and sour cream. I understand a burrito version is also available if that is what you like. A crowd flavourite is the Fried Chicken Burger ($14.90). 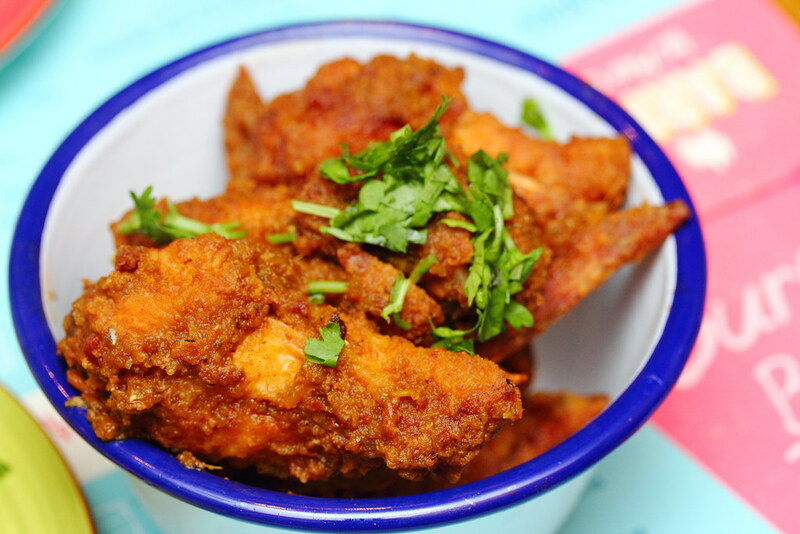 A multi texture enjoyment starting with the beef battered buttermilk marinated chicken. 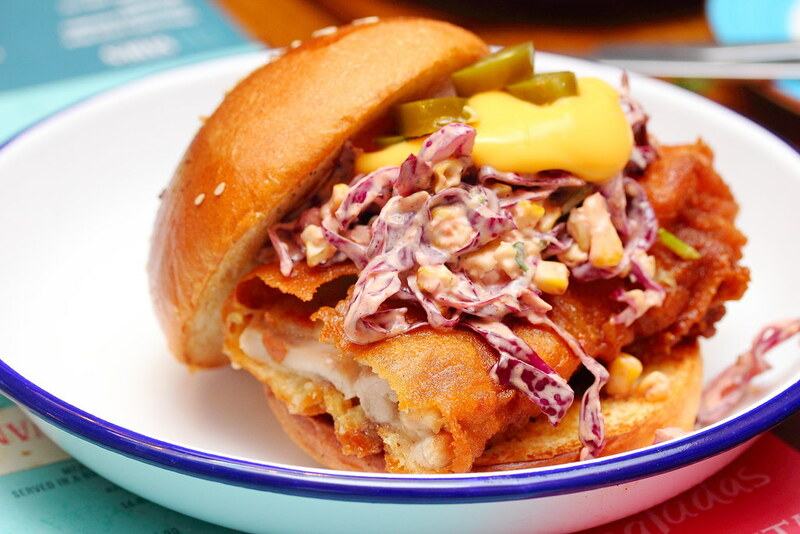 The crunchy fried chicken fillet sandwiched with the soft brioche buns, rounded up with chipotle mayo for a spicy and tangy finishing. I preferred the Chilli Cheese Burger ($16.90) over the fried chicken burger. The beef patty is moist and juicy which consists of chilli, beef, tomatoes, beans and cumin. 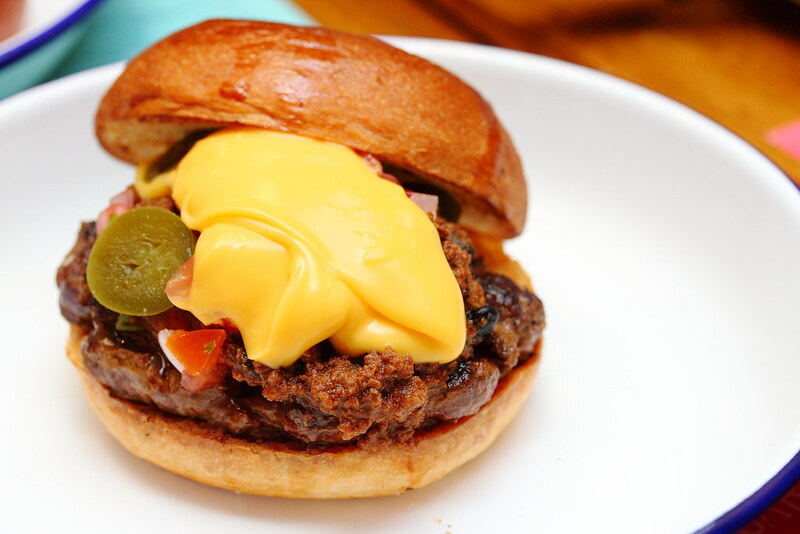 The crowning jewels to the burger is the guacamole, black beans, homemade cheese sauce (cheddar and mozzarella) and pico de gallo. 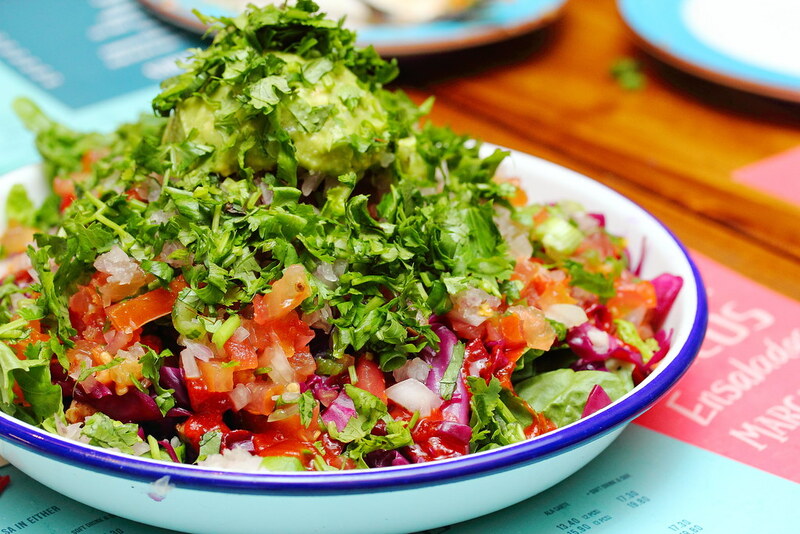 I am not a big fan of Mexican food but after checking out Barrio by Mex Out, it definitely has added new colours just like their colourful dishes into my food journal. I can't wait to return to try some of their snacks and tacos. I would recommend spending your calories on the barbacoa quesidillas, chicken wings, jalapeno and tacos.